Video game publisher THQ Nordic has a long history of acquiring development studios of various sizes, and -- for better or worse -- that trend has continued today. 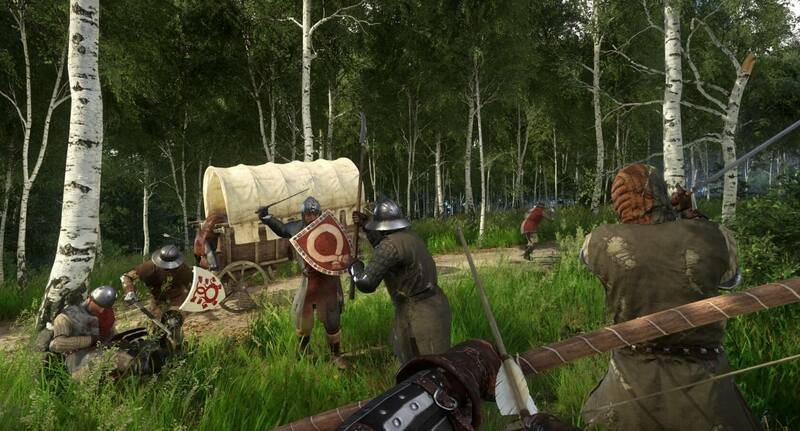 According to the company, they have completed a £37.6 million deal to acquire team behind the popular medieval RPG Kingdom Come: Deliverance, Warhorse Studios. It's not clear what this merger will mean for the future of the Kingdom Come franchise, or Warhorse as a whole, but fans of the team shouldn't worry too much. THQ Nordic generally takes a hands-off approach to publishing, mostly content to handle a given game's marketing, special editions, and pre-order bonuses while leaving the creative aspects to the developers. Still, the agreement between THQ Nordic and Warhorse is somewhat puzzling from the perspective of a long-time fan of both companies. Kingdom Come: Deliverance boasted a highly successful Kickstarter campaign, in addition to over two million additional sales post-launch. One might think that all that success could keep Warhorse afloat as an independent company (though they did sign a one-off publishing deal with Deep Silver for Kingdom Come), without the need to search out an owner. Perhaps THQ Nordic's offer was simply too good for Warhorse's executives to pass up. No matter what's going on behind closed doors, this merger should theoretically mean that Warhorse will have access to far greater resources than they did before. If so, that could lead to the next Kingdom Come game being bigger, better, and even more detailed than its predecessor - only time will tell.